Games started to get more “cinematic”. We saw a new emphasis on making games “legitimate,” making them look and feel more and more like Hollywood films. Massive setpiece moments became nearly mandatory in blockbuster titles, and acting firmly shifted away from cartoon voice actors to “authentic” Hollywood talent. This was an awkward transition, as games are not films, and Hollywood actors are often not great at voice acting in the same way a traditional cartoon voice talent is. This resulted in a few growing pains. Gameplay mechanics intended to feel more “organic” had the opposite effect, making you very aware you were playing a video game (think opening valves by physically turning the controller in Killzone 2). Expensive voice talent somehow managed to come off as less convincing than their more traditional animation counterparts (Peter Dinklage in Destiny). But despite these stumbling blocks, a few innovations were had, many lessons were learned, and a new type of interactive experience was born. A game that will be fondly remembered one day, but a pariah in its time. For many people, and especially for console gamers, RPGs were the landmark for video game storytelling. The 40+ hour campaigns naturally allowed for lengthy stories, deep world building, and a cadre of of wildly diverse characters to grow an affection for. However, by the time the PS2 era was dead and gone, traditional turn-based RPGs had fallen from favour. One can argue this is due to the gameplay systems beginning to feel clunky and outdated, as many an outlet reported upon reviewing 2008's Lost Odyssey, but I’m inclined to say this was not necessarily the case. When the 2000s arrived, RPG battle systems started to get convoluted. Where games like Final Fantasy 6 and Chrono Trigger succeeded in part due to their simplicity, we start to get games like Chrono Cross, Final Fantasy XII and Resonance of Fate where the battle systems required a great amount of patience of online tutorials to fully understand. At the same time, the stories of these games started to become weaker - as dreamy and ethereal as 90s Squaresoft titles were, they were generally grounded in traditional, age-old stories that cross cultural lines, but these stories gave way to vague, difficult to understand mythologies (Chrono Cross), cliche and predictable storylines (Tales series) and nearly non-existent narratives (Resonance of Fate, SMT Nocturne). Do yourself a favour and play or watch Harvester. It’s like $5 on Steam. To fully understand modern narrative-heavy games, we need to explore the adventure games of the PC. Regrettably, I missed nearly all of these games earlier in life, and I didn’t even know most of them existed until I started following PC-centric YouTube channels in the last couple of years. But where consoles had RPGs develop lengthy stories to keep their lengthy campaigns interesting, the adventure genre almost seems to start with the story first and develop a minimalist gameplay style as to not inhibit the story the creators are wanting to tell. This has lead to a great number of creative and delightfully off-kilter games, some of which use full motion video scenes to help tell the story in a more cinematic way. More eccentric weirdos as villains, please, games industry. The primary appeal of RPGs for me was the stories they told. While the battle systems were great, the story was my primary motivation for playing. Before I understood the way these games were designed in later years, it was my natural inclination to run from battles and cheese bosses in order to get to the next story act as fast as possible. I was especially attracted to the epic “save the world” plots of JRPGs. Unlike most western RPGs, which tend to focus more on choices in the minutae and dialogue trees, JRPGs are far more interested in telling a static narrative at a very deliberate pace. And I definitely preferred that. While I did enjoy the ways my words could change the world in games like Fallout: New Vegas and Mass Effect, I typically find the western approach to RPGs to be conducive to far less interesting stories and thereby less interesting to dedicate tens of hours to. Until Dawn is super good and you should play it. But then comes a more modern era of gaming. Having learned from the mistakes made in the oughts, new narrative-driven genres start to enter the mainstream. Games like The Walking Dead offer a deep narrative and small branching path choices, which somewhat affects the story as you continue your journey. Knowing that my choices will have consequences - no matter how small those may be - is a big motivator to get through what can be somewhat lengthy stories, often in long sittings. These new genres - which have often been derided as “walking simulators” and “interactive movies”- are probably the purest form of story in games available. And a great number of fantastic AAA games have come out of this new method of storytelling - Heavy Rain, Until Dawn, A Wolf Among Us, just to name a few. But I think what makes this narrative-heavy space most interesting is what happens with its intersection in the indie space. When you cross narrative-heavy direction with indie wackiness and oddball ideas - and without the need to dedicate significant effort into gameplay systems or complex tasks like network support -you can create something truly magical. While SOMA was my Game of the Year in 2015, it has since ascended to one of my Top 3 games of all time (along with the narrative-heavy Silent Hill 2 and smothering atmosphere of Resident Evil 2003). 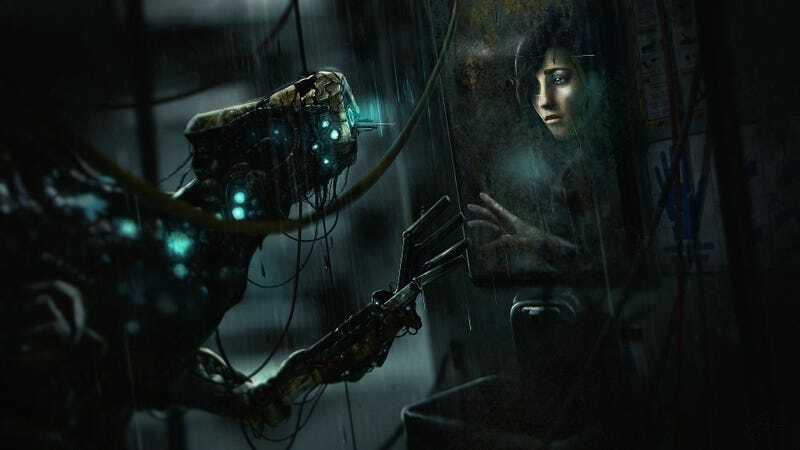 To me, SOMA represents the pinnacle of what narrative-heavy, mechanically simple games can achieve on a relatively small budget and a surplus of creativity. Seeing games like Albino Lullaby, Infra and The Bunker appear in this space to capture the same sort of magic SOMA embodies, it’s got me massively optimistic about the future of gaming. But where more minimalist games like SOMA succeed, RPGs have been utterly failing. Having been so disappointed with the lame narratives and convoluted gameplay mechanics of modern RPGs like Final Fantasy XIII and Digimon Story: Cyber Sleuth in recent years, I’m almost completely turned off by the genre I used to adore. This new genre of games, one I have difficulty finding a succint descriptor for, has effectively replaced RPGs in my own affection. While I think I’ll always have room for short, experimental projects like OFF, I am now fairly convinced that the RPG genre is dead to me. But I am not sad. While I still have nostalgia for the 90s golden age of RPGs, I am extremely optimistic for the future of narrative-heavy games. The more off-kilter, the more “unappealing to a wide audience”, the more creative and imaginative these projects get, the more utterly entranced I’ll be by this new wave of gaming.